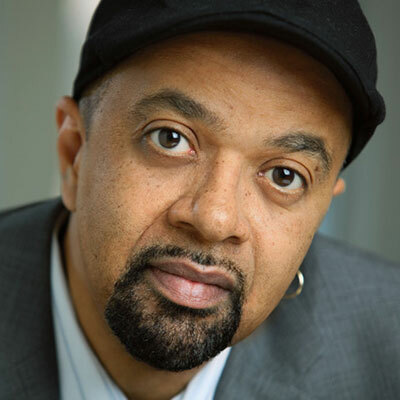 James McBride is an author, musician and screenwriter. His memoir, “The Color of Water” (Riverhead), is an American literary classic. His novel The Good Lord Bird, won the 2013 National Book Award for fiction. His novel, “Miracle at St. Anna” became a 2008 Touchstone Disney film. His novel “Song Yet Sung,” was the “One Book, One Maryland,” choice of 2010. He has written screenplays and teleplays for film icon Spike Lee (Miracle At St. Anna, Red Hook Summer) and television pioneer David Simon (Parting The Waters). James is a former staff writer for The Wilmington (Del.) News Journal, the Boston Globe, People Magazine, and the Washington Post (Style Section). His work has appeared in The New York Times, Rolling Stone, Essence, and National Geographic. In 2015, James was elected to the American Academy of Arts and Letters. In 2016, James was awarded that National Humanities Award by President Barack Obama. James holds several awards for his work as a musical theater composer, including The American Arts and Letters Richard Rodgers Award, The ASCAP Richard Rodgers Horizons Award, and The American Music Theater Festival’s Stephen Sondheim Award. He has written songs (music and lyrics) for Anita Baker, Grover Washington, Jr., Gary Burton, Silver Burdett Music Textbooks, and for the PBS television character “Barney.” He served as a saxophonist sideman with jazz legend Little Jimmy Scott. James was born and raised in New York City and attended New York City public schools. He studied at The Oberlin Conservatory of Music and holds a Masters in Journalism from Columbia University. He is proud and delighted to be a Distinguished Writer-In-Residence at New York University. James still tours with his Good Lord Bird band playing gospel music.